One of, if not the, scariest moments of the season took place in Dallas last night, 6:23 into the game against the Columbus Blue Jackets. The Stars were making a routine line change, and the play was still going on, when players on the Stars bench started slamming their sticks against the boards trying to get the attention of the referees. Rich Peverley had collapsed behind the bench. Eventually the play was stopped, and Peverley was carried into the back. At that time, players and coaches alike were asking the crowd if there were doctors available to help the fallen Peverley. Meanwhile, those players who weren’t actively looking for help, were taking a knee and praying for his well being. At that moment, players ceased being adversaries, and all focused on the same cause. Both the Stars and Blue Jackets skated off the ice, down the Zamboni ramp, and back into their respective locker rooms. 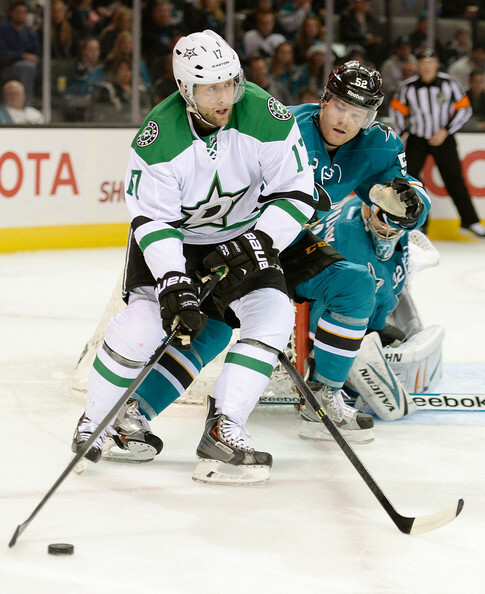 The game had been delayed, and subsequently postponed, while Peverley was attended to. Peverley had had an operation to attend to an irregular heartbeat. This seemed to be a similar event. He was reported in a stable condition, and conscious by Stars media. Hockey is a game where the players are exposed to injury risk whenever they step on the ice. It’s a violent game, and freak accidents can occur. Players can get hit by sticks, pucks, or players, and get hurt. 99.9% of the time, the player gets to the bench, gets attended to, and either returns to the game or leaves the game, while the rest of the team keeps playing. This was that .1% where the injury has nothing to do with the game. When something like that occurs, especially one that is potentially life threatening such as this case, players stop being players, but return to the status of normal human beings. When a human life is at stake, in a case like this, the color of your jersey and the logo on your chest is completely irrelevant. The Stars and Blue Jackets gathered together by the benches, all concerned for the well being of Rich Peverley. In the end of the day, it’s a game. As much as us puck-heads love the violence and yell drunkenly at the players to do something to help their team, it’s still just a game. When a human life is at risk, it’s time to stop the game, and make sure that the player gets the proper medical attention required, even if it means the game gets postponed to another night. There will always be another game. There are more important things than the game. No matter the sport, the place, the time. We never want something like this to happen. If it should happen again, we should take this event as an example of how to act when something like this occurs. Keep Rich Peverley and his family in your thoughts and prayers, as we hope for his return to health soon. Was that trade worth it? Reviewing the big trades at the halfway point. Last week, we reviewed the top 10 free agent signings and how they are doing halfway through their first season with their new teams. This week, we’ll take a look at the 10 biggest trades, and see who won each deal. Vancouver Canucks trade G Cory Schneider to New Jersey Devils for 2013 1st round pick (Bo Horvat): This trade turned boos for Commish Gary Bettman at the Prudential Center on draft day into cheers. It also shocked everyone in the hockey world, especially Schneider and the Devils. Schneider immediately became the heir-apparent to living legend Martin Brodeur, who may retire this offseason (or never). Schneider and Brodeur have split the load so far, and Schneider has a 7-9-6 record, and 1.96 GAA. He’s been impressive for the Devils, and a bright spot for the future, should he sign an extension with the team. Bo Horvat was picked with the 9th overall pick by Vancouver, and still is in the CHL, but has a bright future ahead of him. We can’t tell now how he’ll be, but Hockey’s Future rates him as a 7.5 prospect (take it how you like). But Vancouver could have gotten way more out of Schneider. Winner: New Jersey. 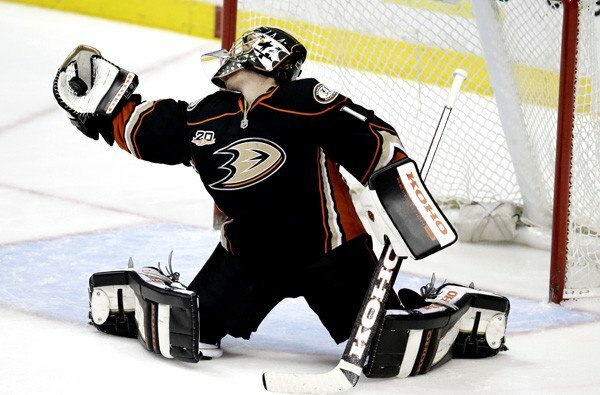 Anaheim [Mighty] Ducks (3-0-0) – Jonas Hiller has now won 14 straight starts. The record, for you curious few, is 17 by Gilles Gilbert of the Boston Bruins in 1975-76. Also, the Ducks are approaching the record for points in consecutive home games to start the year. Boston Bruins (1-2-0) – This week was the California swing for the B’s, taking just the game against the Sharks, a 1-0 affair. They became the only team this season to keep the Sharks from scoring at the Tank. 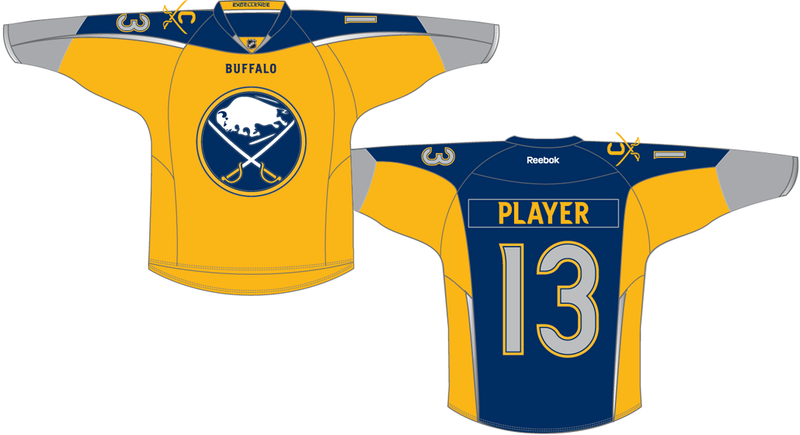 Buffalo Sabres (1-0-1) – Mikhail Grigerenko is refusing to go back to his junior team, after being demoted by the Sabres. Buffalo isn’t getting that year back on his entry-level contract, thus making this another thing that went wrong for the Sabres. Calgary Flames (1-3-0) – They scored 5 goals this week. 4 of them came in one game, against the Avalanche. Guess which game they won. Carolina Hurricanes (1-1-0) – Skinner-mania is back, to stay. Since December, he’s been more than a point-per-game player. He’s also one of two Canes near point-per-game status. They need secondary scoring bad. Chicago Blackhawks (1-1-1) – Chalk this up as a pedestrian week for the reigning champs, who are now looking over their shoulder at the Blues, who are right behind them. Colorado Avalanche (2-1-1) – They seemed to have played to the level of their competition this week, losing to Calgary and the Islanders, but beating the heating-up Senators and Wild. Seems to make sense. Columbus Blue Jackets (3-0-0) – Don’t count the Jackets out of anything. 7th place in the Metro, but 5 points out of 2nd. That’s gonna get interesting in March. Detroit Red Wings (1-2-0) – Tomas Tatar scored a goal the day after his father’s passing Saturday night in Los Angeles. I send some love out to him and his family. Edmonton Oilers (1-2-0) – It’s not for a lack of offense that they aren’t winning. It’s goaltending woes. 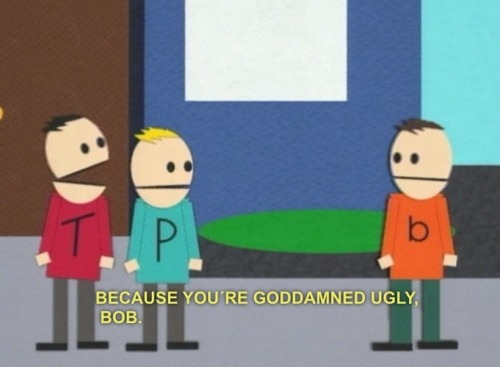 Right Bryz? Los Angeles Kings (1-1-1) – All of the sudden, the Kings’ offense isn’t tearing it up anymore. Quick gets back, and now you rely on the poor guy to win every game? Man they are spoiled in Lala-land. Minnesota Wild (3-1-0) – 3 wins this week takes good advantage of Dallas hating New York teams. Too bad their only loss was to a team they are chasing, in Colorado. Montreal Canadiens (2-1-0) – The losing team in each Habs game this week scored exactly 1 goal. Can’t win if you don’t score, I suppose. Nashville Predators (1-2-1) – Busy week for the Preds, and it included hopping over the Jets, leaving them in the Central cellar. No wonder Claude Noel is out of a job. New Jersey Devils (2-0-2) – The Ryder-Henrique-Clowe line is heating up, just as the Zajac-Jagr-Zubrus line is cooling down. Also, Schneider is stepping up as Brodeur is winding it down. Why can’t everything work at the same time for these guys? New York Islanders (4-0-0) – Hold the phone. The Islanders are 7 points back from a playoff spot. Talk about playing inspired. New York Rangers (3-0-0) – This concludes the first week in forever that none of the 3 New York teams recorded 0 regulation losses. No one thought this would happen ever this year. Ottawa Senators (1-0-1) – They were ahead of the Leafs entering action on Sunday night. Man this race is getting packed with everyone. Philadelphia Flyers (2-2-0) – Just when you thought they were the team to beat, they put up 2 duds against Tampa and the Rangers. This proves that they too are just as ready for a playoff spot as any team in this wide open race. Phoenix Coyotes (1-2-0) – So the Avs’ play to the level of competition, the ‘Yotes don’t. They beat up on the Flames and lost to the Wild and Ducks. I guess they are that team that people play as expected against. Pittsburgh Penguins (2-0-1) – This just in: The Penguins have (pretty much) clinched the Metropolitan division. San Jose Sharks (1-2-0) – The only team with fewer home regulation losses, happens to be the only team ahead of the Sharks in the Pacific. Coincidence? St. Louis Blues (2-1-0) – They finally lost a game, 2-1 in Vancouver. They can score with Chicago and be as stingy as Boston. They are a scary team. Tampa Bay Lightning (2-1-0) – 5 goals on just 17 shots against Flyers goalie Steve Mason. That says something about the Bolts’ offense or the Flyers’ chronic goaltending issues. Toronto Maple Leafs (1-3-0) – Coach Randy Carlyle was given a vote of confidence by GM Dave Nonis. The countdown begins. Vancouver Canucks (1-0-1) – A win against the Blues is a big thing these days, because they are hard to come by. Now they can try and catch the Kings again. Washington Capitals (2-0-1) – They reclaimed their spot in 2nd in the Metro, but that could change at any given moment, given the team we have in it. Winnipeg Jets (0-2-0) – Paul Maurice is the new head coach in the ‘Peg after Claude Noel had his term as first Jets coach terminated. It may help, but the Jets are likely still a few moves away from looking any better. The ref said, “If you want to play from inside the box, then you can sit there another 2 minutes.” The Kings scored on the ensuing power play. That is all for this week. Tune in next week for some more hockey. Till then, puck-heads! Greetings, hockey fans! This week, we changed calendars, and witnessed a shining example of hockey’s beauty. More suspension talk and some massive standings shake-ups are included, in this week’s Week in Review. Anaheim [Mighty] Ducks (3-0-0) – Winners of 9 of their last 10 games, the Ducks are arguably the hottest team in the NHL, and still have yet to be beaten in regulation on the Pond. In case you are wondering the record, it’s 26 games set by the 79-80 Flyers. Boston Bruins (2-1-0) – A rough loss to the Islanders puts a small mark on this otherwise smooth-sailing week for the B’s. Buffalo Sabres (1-2-0) – Tyler Myers is getting a hearing from NHL Dept. of Player Safety about his hit on Devils’ Dainius Zubrus, yet it only cost his team a minor penalty. How do you explain that? Calgary Flames (0-2-0) – They have 1 goal in their last 4 games. That’s bordering on pathetic. Carolina Hurricanes (4-0-0) – Just when you think you can count them out, they win 4 in a row. That’s the story of the Metropolitan this year. Chicago Blackhawks (2-0-2) – Patrick Sharp seems to pull hat-tricks out of anywhere. That makes 2 in the last month. Of course he plays for Chicago. Colorado Avalanche (3-0-0) – 6 points behind the Blues, 7 ahead of the Wild, I think the Avalanche are now safely in third in the Central. But who knows what could happen here on out? Columbus Blue Jackets (1-2-0) – Nathan Horton returned and scored the first goal of the game in Phoenix, and it was a game-winner. The next game? They lose 6-2 to the Blues. Dallas Stars (1-2-0) – They may have cooled a bit, thanks to Montreal’s PK Subban, but with 3 games at hand on the streaky Wild, they should feel just fine. Detroit Red Wings (1-1-1) – The Winter Classic was awesome, yes, but the game itself was crappy and cold. And now they have to travel a ton. Yay for scheduling snafus! Edmonton Oilers (1-2-1) – I think I might take every Oilers’ post in Week in Reviews from here on out just to make fun of Ilya Bryzgalov. Until they fire sale, at least. Florida Panthers (1-0-1) – Splitting 2 shootouts this week. Splitting head-aches for upper management this season. Coincidence? Los Angeles Kings (1-3-0) – They are thanking their lucky celebrity stars that Jonathan Quick is back. First game, lets in just 1 in a win against Vancouver. Them and the USOC. Minnesota Wild (2-1-0) – 5 goals on 11 shots vs. Washington, including 3 goals on 3 power play shots. Braden Holtby was either in net or somewhere else, we couldn’t tell. Montreal Canadiens (1-0-2) – A bat made it’s way into the Bell Centre without a ticket. Either it snuck in, or the Habs were trying to scare their opponent. Or they signed Dracula. Or [insert joke here]. Nashville Predators (1-1-2) – Still ways away from seeing Pekka Rinne in net. Also ways away from a chance at the playoffs. Coincidence? New Jersey Devils (1-2-0) – After an emotional win against the Penguins, they let the Blackhawks be the Blackhawks for about 5 minutes, costing them the game, and had an ugly loss to the Sabres (which New Jersey is blaming on the referees). New York Islanders (2-1-0) – They managed to beat Chicago. Maybe there is life in this team. New York Rangers (2-1-0) – They forgot to show up against the Penguins, then blasted the Leafs, and traded for tough guy Dan Carcillo. Why can’t this team make up their minds? Ottawa Senators (3-0-0) – They are heating up, and now just 2 points back of the Leafs. Sure, why not throw another contender into the Eastern wild-card mess? Philadelphia Flyers (3-1-0) – They unseeded Washington as the #2 team in the Metropolitan. Remember when they were a joke? Phoenix Coyotes (1-2-0) – Winning just 2 of their last 10 will not help them in the standings or on their bottom line. That 5th year opt out clause on the ownership contract is looking tasty right now. Pittsburgh Penguins (2-1-0) – For some reason, they have a very difficult time with winning in the Prudential Center. They don’t play them again this year, and are very thankful for it. San Jose Sharks (2-2-0) – Alex Stalock looked great in a shootout win in Chicago. That’s a good sign for the future, considering everyone saying their window is closing soon. St. Louis Blues (3-0-0) – They smacked the Kings 5-0 and the Jackets 6-2. Still have the fewest losses in the league too. Why is no one else lauding their regular season dominance? Oh right, the playoffs count too. Tampa Bay Lightning (2-1-0) – Who would have thought that their only loss in Western Canada was to Ilya Bryzgalov and the Oilers? Yeah, I joke about Bryz with other teams too. Toronto Maple Leafs (1-1-0) – After a win on the big stage in the Big House, they triumphantly return home, and gut-checked by the Rangers, 7-1. They might just fall behind Ottawa this week. Vancouver Canucks (0-2-2) – So much for Roberto Luongo coming back. They can still trade him, right? Washington Capitals (0-2-1) – They got passed by Philadelphia this week. Ovechkin can’t do it on his own, people. Looking your way, Braden Holtby (see Minnesota Wild). Winnipeg Jets (1-3-0) – They held the lead in Pittsburgh, which isn’t something many teams can say. But did they win? Hahahaha no. Ice – 1. Red Wings fan – 0. Karma – 1,000,000. Next week, we will have some more fun in the NHL. Happy hockey, puck-heads! This week in the hockey world, we had a 3 day break with no games, but that doesn’t mean we had a slow week. We still had quite the amount of action to fill you guys in on, so here we go, in this week’s Week in Review. Anaheim [Mighty] Ducks (2-1-0) – With a couple of key division wins, these guys are now tied for the lead in the President’s Trophy race with the Blackhawks. That was a gorgeous 10-game winning streak that just was halted against Phoenix. Boston Bruins (2-1-0) – Their two wins this week combined for a score of Bruins 11, Nashville/Ottawa 2. If their offense gets rolling like that, I don’t see anyone stopping them. However, Dennis Seidenberg is now ruled out for the season with a torn ACL/MCL. Ouch. 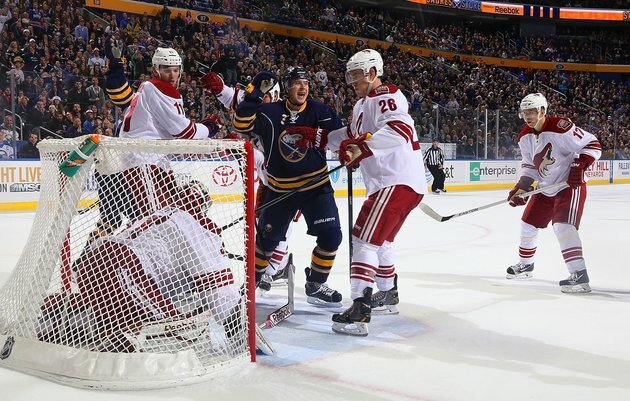 Buffalo Sabres (2-0-1) – #Buttgoal. Calgary Flames (1-2-0) – Beating the Blues is no easy task, but neither is getting shut out by the Oilers. It takes skill just to not score on them. Carolina Hurricanes (0-2-1) – Their slide increases to 5 games without a win, and don’t look now, but the Islanders are right behind them. Chicago Blackhawks (2-0-1) – Amazing game vs. the Blues, despite taking the SO loss. Crushing the Devils and Avalanche make up for that loss. Can anyone stop them from scoring 5 goals per game? They average just under 4 goals per game, which is unheard of. Colorado Avalanche (0-1-2) – Tough losses against San Jose and Winnipeg, but everyone will have fresh in their mind that pounding from the Hawks. Columbus Blue Jackets (2-1-0) – Key divisional wins against New Jersey and Carolina are the kind of thing that will keep them alive in this logjam for 3rd in the Metro. Dallas Stars (2-0-1) – The Stars became the first team to beat phenom Kings’ goalie Martin Jones, and 5 goals tells me that it wasn’t a fluke loss. Also, they caught the Wild and passed them for 4th in the Central. Tale of two teams trending in opposite directions. Detroit Red Wings (1-1-0) – Their 3-0 loss to the Islanders is a fine example of how the Wings have been playing lately. In other news, Jimmy Howard has gotten many get well sooner cards. Florida Panthers (1-2-0) – A new shiny scoreboard will put fans in the seats, right? They have to be able to see it, duh. Los Angeles Kings (0-2-0) – Martin Jones is human, again. The Kings fell behind the Sharks, again. Coincidence? Minnesota Wild (0-3-0) – They have successfully blown a double digit point lead. According to sportsclubstats.com, their chances to make the playoffs dipped a bit, from over 80% to now 7.2%. I know it’s early still, but where’s that panic button? Montreal Canadiens (1-1-0) – They are probably going to be jockeying with the Lightning between 2nd and 3rd in the Atlantic for the rest of the year. Funny part of that is, is that if that’s true, they are first round opponents. Nashville Predators (1-2-0) – What a win for them against the Kings on Saturday. Giving up the tying goal with 35 seconds left, then scoring to take back the lead just 10 seconds later. Wow. New Jersey Devils (1-1-1) – Travis Zajac’s game winning goal on the Island was off his face. Way to use your head!…*cricket noises*. New York Rangers (2-1-0) – Captain Ryan Callahan is getting there, but for the Rangers to succeed, they need him on the ice, not in rehab. Ottawa Senators (2-1-0) – After spanking the Penguins 5-0, they get the favor returned by the Bruins by the same score. Funny how hockey can work. Philadelphia Flyers (2-0-0) – They are becoming just as pesky as they were before they decided to stink for the first month of the year. Just ask the Oilers. Phoenix Coyotes (0-0-3) – Ownership apparently isn’t happy with how attendance is going so far this year. Did they know how long it took to find a buyer who would invest in the team? Pittsburgh Penguins (2-1-0) – Losing Pascal Dupuis to a torn ACL is bad news for the Pens. The injury bug seems to like it in Pittsburgh. San Jose Sharks (3-0-0) – 3 wins against 3 tough opponents tells us that the Sharks are primed for a good bounce back. They still won’t have their Teenage Mutant Ninja Hertl for the season, though. St. Louis Blues (2-0-1) – Crazy comeback against the Hawks with 2 goals in the final 4 minutes. Those are the games that make the NHL so much fun to watch. The question is, can they do that without top goal-getter Alex Steen for a while? Tampa Bay Lightning (1-1-1) – Who would have thought they’d be in second in the division after Stamkos went down a month and a half ago? Their offense seems to be doing just fine, putting up a 6 spot on the Panthers in Sunrise. Toronto Maple Leafs (2-0-1) – They gave up a goal to John Scott. Really? Vancouver Canucks (1-0-0) – A very restful week for the Nucks, playing one game in Calgary. They need the rest, because they have 4 games next week. Washington Capitals (1-1-1) – As long as the Caps tread water, they get whoever wins the race in the Metro among the many teams in it. Not a bad spot, actually. Winnipeg Jets (2-1-0) – They took their opportunity to beat up on some recently struggling teams, and got 2 much needed wins. They are still 4 points out of that 4th spot in the Central, despite having played 3 more games than Dallas. Well, like father like son. Doesn’t excuse him from doing that though. He later apologized after getting sent to the corner to think about what he did. That wraps up another active week in the NHL. Tune in next week for the Winter Classic. See you then, puck-heads! So far, the NHL season has had it’s fair share of plot twists and surprises. From the trade that sent Thomas Vanek to the Islanders, to Steven Stamkos breaking his leg on a goalpost. From Shawn Thornton receiving a 15 game ban for mugging Brooks Orpik, to a drunk Blackhawks fan stealing Adam Pardy’s helmet. Much has happened so far, and here are some predictions of how it will lay out in the end. Philadelphia Flyers – After a tumultuous start, where they lost their coach and top scorer Claude Giroux took 15 games to score a goal, they seem to be piecing it together. Steve Mason has been solid in net for them, and a little bit of stability in net goes a long way for these guys. However, the lack of discipline these guys can have could easily be an Achilles’ Heel. They take 17.2 penalty minutes on average per game, which is most in the league, and 3 more than the next highest team, the Blues. Their 12th ranked penalty kill has done well, but continual overworking of them will wear them down and hurt them later on. New York Rangers – They just extended goalie Henrik Lundqvist for 7 more years, and already he’s been put under the microscope. His numbers this year are well below his career averages so far, and has received some very ill criticism from Rangers fans and the media. The truth is, it isn’t all his fault. No one’s sure that the team in front of him will show up on any given night. They’ve had games where they picked apart the Minnesota Wild, and games where they rolled over to the New York Islanders. They have to stick to one trend if they want to see continued success, and not just wavering between one or the other. New Jersey Devils – In my honest and unbiased opinion (despite me being a Devils fan), I honestly think that the Devils have the best of the rest potential in this division. They have tremendous discipline, taking the fewest penalties per game with just 7.8, and have the 6th best penalty kill when they do get penalized. Their offense doesn’t scare anyone, on average taking the fewest shots per game, but they give up the least shots against per game. Here’s where they beat other teams, and that’s chemistry. Their record is skewed somewhat toward the beginning, where they started 0-4-3, but since then, they’ve made some key call-ups (Eric Gelinas, for example), and have grown together to create a team that is strong defensively. They do have games where they can’t outscore their mistakes, but if they keep playing their game, discipline and defense, they will be tough to beat. Columbus Blue Jackets – Recently, they’ve been heating up, but with a horrid stretch, winning just 4 of 17 games between 10/27 and 12/1, they remain on the outside looking in. Marian Gaborik was just starting to heat up, when he broke his collarbone, and is likely out a couple of months. Nathan Horton is still on his way back, and they need him, because only one Jacket has more than 10 goals, being Ryan Johansen. They need offensive depth, because goalie Sergei Bobrovsky is not playing like he did last year, and it’s hard to trust a backup, despite Curtis McElhinney giving his all. It probably doesn’t add up to a playoff berth this season for them. Carolina Hurricanes – They’ve been up and down this season so far, bouncing between 2nd and 7th in the Metro. They have serious offensive issues, having one skater with double digit goals, in Jeff Skinner, who’s been hurt part of the time. Goalies Justin Peters and Cam Ward can’t handle the game every night, and because of those reasons, it’s clear to me that this isn’t a playoff team. Final standings: PIT, WAS, NJ, PHI, NYR, CBJ, CAR, NYI. It’s clear that at the very least, 4 of these teams are serious playoff threats. The only real questions are, can anyone catch the Bruins, and do the Leafs have what it takes to hold on? The Bruins have one of the stingiest and biggest defensive corps in the NHL, led by 6’9″ mountain Zdeno Chara, and sometimes a brick-wall-lookalike in net Tuukka Rask. Their offense is known for being grind-it-out tough and hard to play against. They also have the know-how, being the defending Eastern Conference champions. Can anyone top them? I don’t think so. The Tampa Bay Lightning have a scary offense once Steven Stamkos gets back, and goalie Ben Bishop has been very strong in net. However, I don’t see them skating circles around the Bruins. The Montreal Canadiens have a very talented team, but they are on average one of the smallest teams in the NHL. As I said before, I really like how they play the game, but it’s hard for them to get around the big defensive line for the B’s. These are the top 3 in the Atlantic, but the Bruins are the best of the bunch. Now, the Leafs. They made a couple of moves over the offseason, and they aren’t quite panning out like they wanted. David Clarkson already has 12 games of suspension under his belt, and only 8 points in those 27 games he did play. Dave Bolland, the Cup hero, has been out with ankle surgery since early November. While Jonathan Bernier has been playing solidly in net, he’s not there the whole time, and can’t help in the games he’s not in, as James Reimer hasn’t been playing like he did last year. Mason Raymond has been the best of the lot, also the quietest move, as he’s been playing some of the best hockey in his career. But with the potential these Leafs have, they easily could hold on to that spot, but it’s becoming tougher each day that they don’t perform to expectations. With the Devils and Flyers heating up in the Metro, it gets closer in Toronto’s rearview mirror by the day. In the end, it’s tough for me to say if they are holding on to this spot. If I had to predict right now, I’d say the Devils and Flyers would make it over the Leafs. Final standings: BOS, MON, TB, DET, TOR, OTT, FLA, BUF. The only real question here, is do the Stars have enough to catch the Wild. The Blackhawks, Blues, and Avalanche have been proving time and again that they belong where they are, and it doesn’t matter who gets what seed, because I think they are all interchangeable. Dallas has been one of the hot teams under the radar in recent weeks. They made massive strides in shrinking their deficit from double digits at one point, to now just 3 points. Tyler Seguin and Jamie Benn lead the way offensively, and have been remarkably good the whole season, in terms of point getting and playing well. Also on the rise are young guns Alex Chiasson and Valeri Nichushkin, both excellent for secondary scoring and depth. Defensively, they aren’t spectacular, but goalie Kari Lehtonen has been great when healthy, keeping this team afloat. Meanwhile, the Minnesota Wild have been tapering off, more specifically on the road. They do have good scoring depth, with Miko Koivu, Zach Parise, and Jason Pominville shouldering the load, but their defensive play has not been amazing. Also, the goaltending tandem has been Jekkyl and Hyde this year. Josh Harding has been the story of the year, with a record of 18-5-3, with a goals against average of just 1.51, and a save percentage of .939. Meanwhile, Nick Backstrom (not to be confused with Caps center of the same name) has been awful, with a 2-8-2 record, GAA of 3.18, and a save percentage of .896. They can’t rely on Backstrom, and can’t play Harding every night. They need consistency in net above all. Do the Stars catch the Wild? My answer, is yes. The Wild won the first meeting 5-1, but 3 remain, and anything can happen. Final standings: CHI, STL, COL, DAL, MIN, WPG, NAS. San Jose Sharks – Their scoring depth is among tops in the league, and Antti Niemi has been playing well when called upon. The only qualm about this team, is losing Tomas Hertl for the season. He recently was involved with a knee on knee collision with Kings’ Dustin Brown, and is now likely out for the year. Can they make up his scoring? I think so. Tommy Wingels is the guy to look at to step up in his spot. Tough as nails and a nose for the net, he can play up a line and help the Sharks secure a playoff spot. Phoenix Coyotes – They’ve had decent scoring across the board, but not one guy stands out for them. Among Shane Doan, Mike Ribeiro, Martin Hanzal, Mikkel Boedker, and Radim Vrbata, the scoring depth is there. However, they depend on goalie Mike Smith a little too much. 33.2 shots against per game is 5th most in the league, and Smith is only human. They simply can’t depend on the goalie for everything, and must step their defensive game up, or it may be too much of a climb to reach the playoffs. It’s clear here, that the teams to beat are the Sharks and Canucks, and the Coyotes are on the outside looking in. Final Standings: ANA, LA, SJ, VAN, PHX, CAL, EDM. That’s what I have for you, puck-heads. See you next week, and happy hockey!